Effortlessly Create Insightful And Engaging Surveys, Gather Critical Data Such As Statistics And Answers From Your Visitors…All In One Place! Brand New, Powerful WordPress Plugin Now Allows You To Get Insight As To What Your Visitors Are Thinking, So That You Can Make Better And More Informed Decisions…For MORE Profits! Information is power. Would you like to know what’s on your visitors’ minds in order to make better decisions and increase your business in a way you never thought possible? Subject: Instantly Create Surveys That Will Give You Important Information About Your Visitors! In this new digital era that we are living, having information is key to success. Have a look at the big boys such as influential bloggers or even corporations and you'll realize that they are constantly running surveys for their products or services. They know that information IS power, and it allows them to make more informed decisions to dramatically increase profits. If you ran surveys and gathered data such as why they loved (or hated) your products or services…your customer support or even the layout of your blog, then you would be in a position where you could dramatically improve your online business, make more sales and achieve success faster. Listen, today isyour lucky day. In just a few moments you will get total access to such a powerful and useful WordPress plugin that once you run it, your whole business is going to change for the better. In fact, this is the same plugin that I personally use in my WordPress-powered blogs in order to gather data that allows me to make more money! Perhaps the BEST thing about this plugin is that you’ll have the ability to gather important results and statistics of the answers supplied by your visitors…and you’ll make better decisions based on that data! 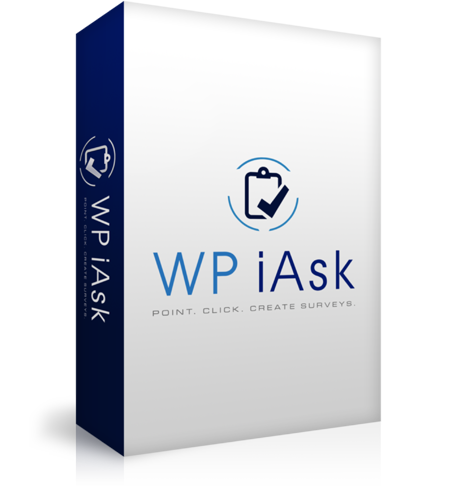 Incredible Features (And Benefits) Of WP iAsk. Quickly, easily and instantly create surveys at the push of button and get precise, in-depth statistics that will help you make better decisions next time regarding the way you run your business. Possibility of using shortcodes in order to make your life easier – The surveys can be embedded in any post or page via shortcodes. What’s more, each survey that you create will have its own URL (it can be used on its own without the need of being embedded in a WordPress page or any other page. Unlimited Customization–Endless styles for survey header, footer, and even content. Easily control how the survey looks and appears on the page. Jaw-dropping Widget Effects –Get access to various styles that control the appearance of the survey widget…for a great first impression! 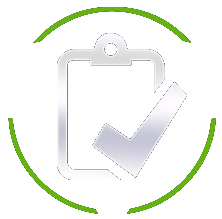 Restrictions option available– Surveys can be made available only to registered users or to the general public…you have the control. Each survey is SEO friendly (potential to drive tons of traffic via search engines) –If you are into the SEO game you will love this feature. Each survey can send you free targeted traffic from Google, Yahoo! or Bing. In-depth Results and Statistics – This amazing plugin provides a crystal-clear snapshot of the most important data about the user’s responses to the survey questions. This is probably the most powerful feature since you will have access to CRITICAL data that can change for the better the way you do business! 30-days Money-back Guarantee in case you are not satisfied (unlikely) – Nobody likes to risk their money, that’s why I am offering a solid, iron-clad money-back guarantee that lasts for 30 days…either you are happy with your purchase, or you get your money back! The "Add To Cart" Button Below! What If You Could Get Inside The Brain Of Your Visitors? How Do You Think This Will Affect Your Online Business? Once you start running surveys and discover what your visitors really think about your site, your services or products, you can make better moves that will result in more profits! Not only that, you can also raise your conversion rates and also get more subscribers and more leads! Think about all of the possibilities! You can quickly and easily create engaging surveys that are even SEO friendly, and that have the potential to drive search engine traffic. Tiger WP iAsk Lite version you will be able to use and test many premium features of the plugin.